Are you ready to head onto the digital landscape with your company or brand? Maybe? You have to think strategically before you think creatively about your online presence. And the first way to do this is to ask why. Way before we put a pixel to the screen or pencil to paper for that matter, we have to ask why. 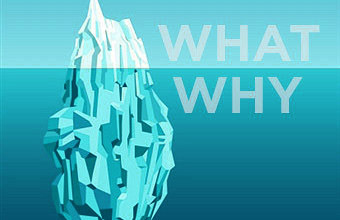 The “why” will tell you if your brand is standing on solid ground or not. It will also tell you if the “what” of your brand lines up with it. We always ask why first. It’s in our nature and more importantly, it ensures that when we commit to a marketing strategy for your company, there will be a very strong foundation for it.